The greatest gift you can give your child is to be a good, supportive and an understanding parent. 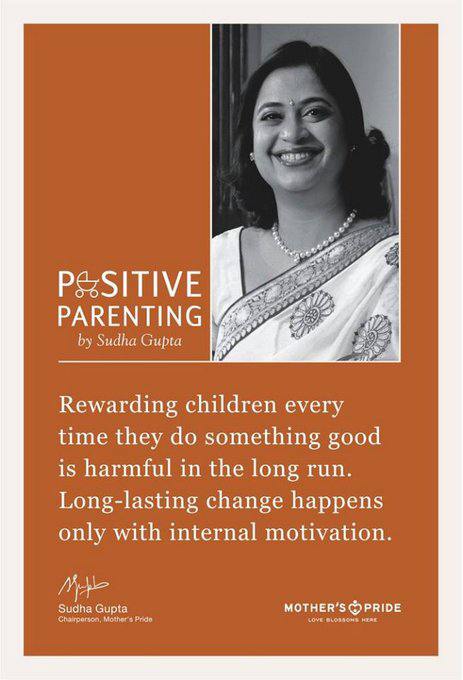 It is those who benefit from positive parenting who grow up with the right qualities and get ahead in life. The honourable Chairperson of Mother’s Pride and Presidium has specially curated a perfect compilation of mantras that will help you cope with the demands of parenting better. Have a look now! Positive Parenting is a belief, a way of living. It is something which acts as a base for your tiny tot. Mrs. Sudha Gupta, the honourable chairperson of Mother's Pride and Presidium schools, strongly believes in the subject of positive parenting and promotes it by spreading awareness about the same. Mrs. Mrs. Gupta conducts regular parenting seminars, which inspire parents to understand their child better. Her immense knowledge on parenting is shared in the form of weekly parenting tips. 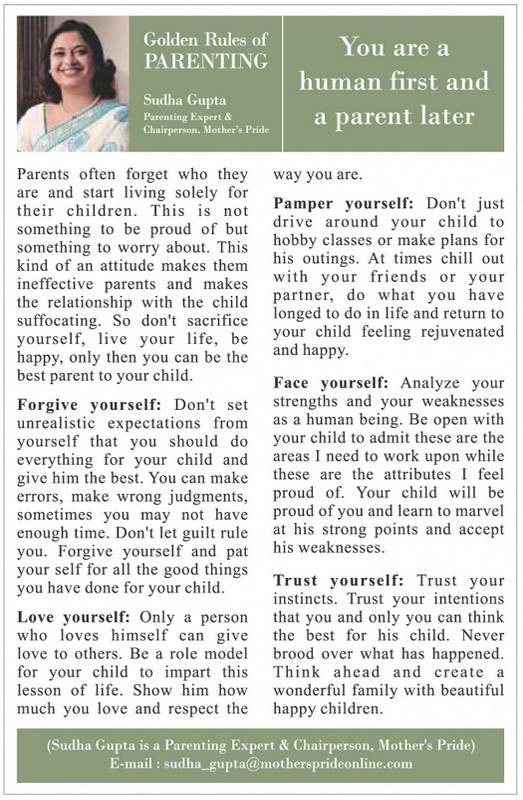 Thousands of parents are benefitting from these words of wisdom, which help them to inculcate right qualities in their kids to help them become the leaders of tomorrow. Positive Parenting isn’t a practice, it is a learning experience. To make this experience smooth and joyful for the parents, Mrs.Sudha Gupta, the honourable Chairperson of Mother’s Pride and Presidium hosts thought-provoking parenting seminars for all the parents. 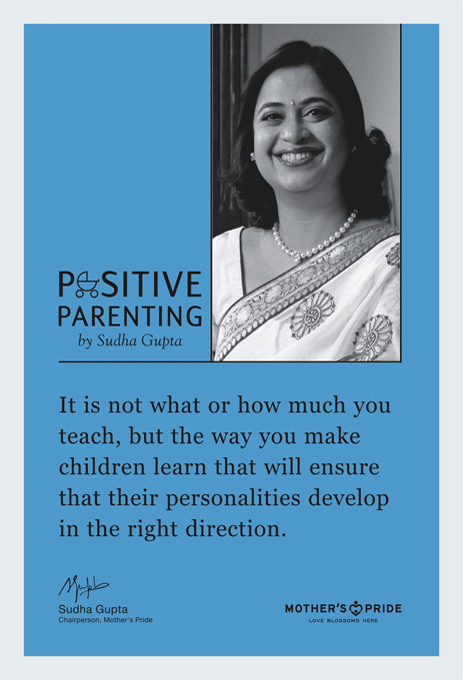 Through her seminars, Ma’am not only provides positive solutions to difficult parenting scenarios, but, also shares the secrets of the Positive Parenting approach through her special 10 Mantras and 3 Guru Mantras. Parents truly benefit from these seminars and return with heaps of optimism and confidence to implement the nuances of parentings skills in the most perfect way. Do you realize that as a parent, you have far more power than anybody else to transform the world? Read on a compilation of Parenting Articles that originally appeared Outlook, The Eternal Solutions, India Today, GoodHousekeeping and Femina Magazine. 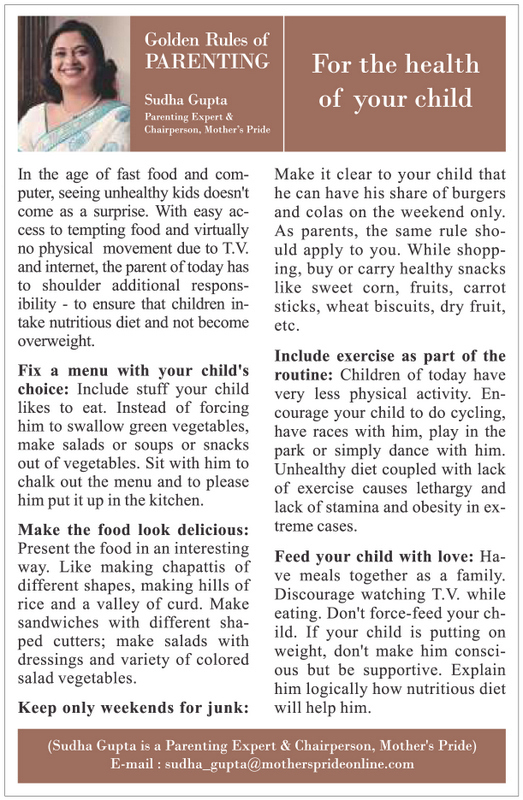 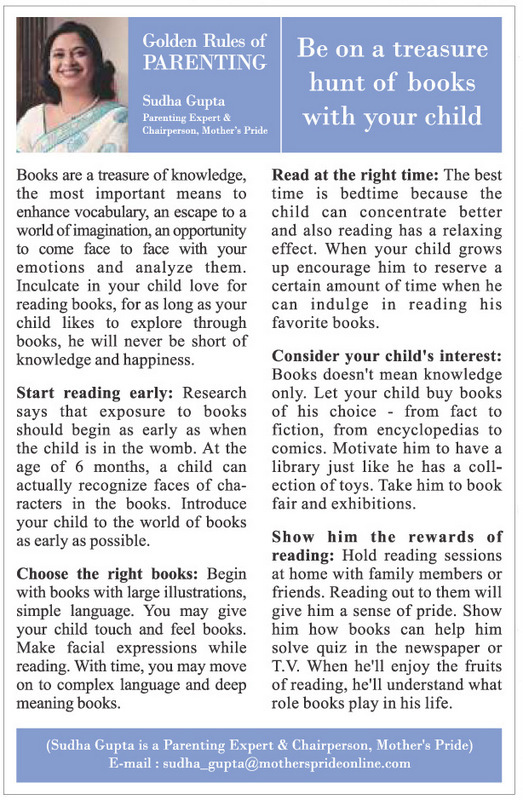 Suggesting a thoughtful way to become a 'one minute parent', Mrs. Sudha Gupta, Chairperson - Mother's Pride & Presidium, explains that it's important to bind your relationship with your child with love. Her effective and easy approach towards parents' crisis is bound to make your parenting journey more joyful and rewarding! 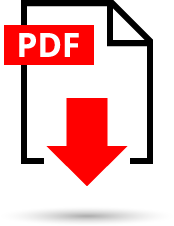 If these parenting articles compiled here do help you become a better parent, we will surely be successful in making a humble contribution towards creating a better world. Here’s to raising a generation of heroes!